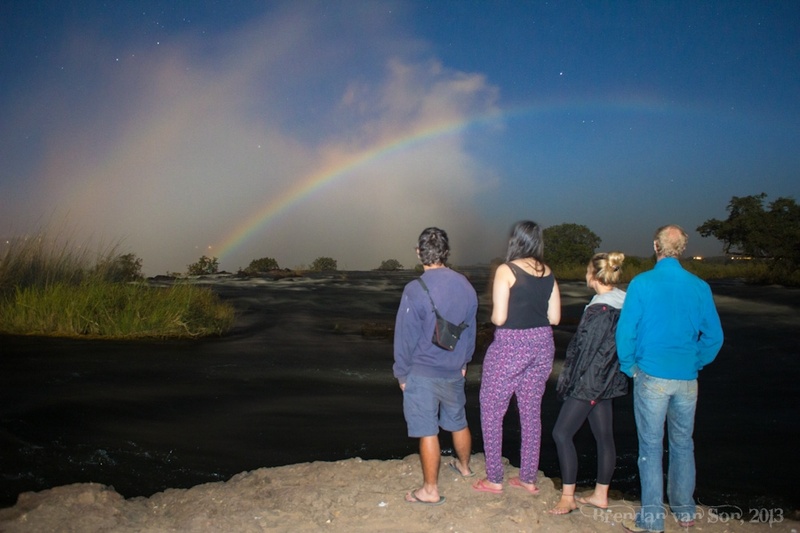 Once a month, the full moon infuses the mist of Victoria Falls with enough light that it creates a lunar rainbow. 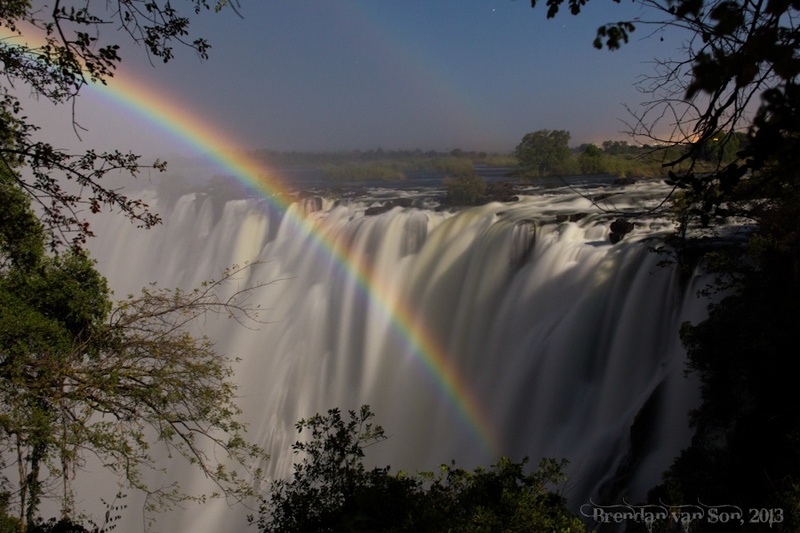 Of course, anyone that has ever been to Victoria Falls knows that rainbows are almost synonymous with the famous falls. People get excited about them during the day time, but during the dark of night it’s something extra special. 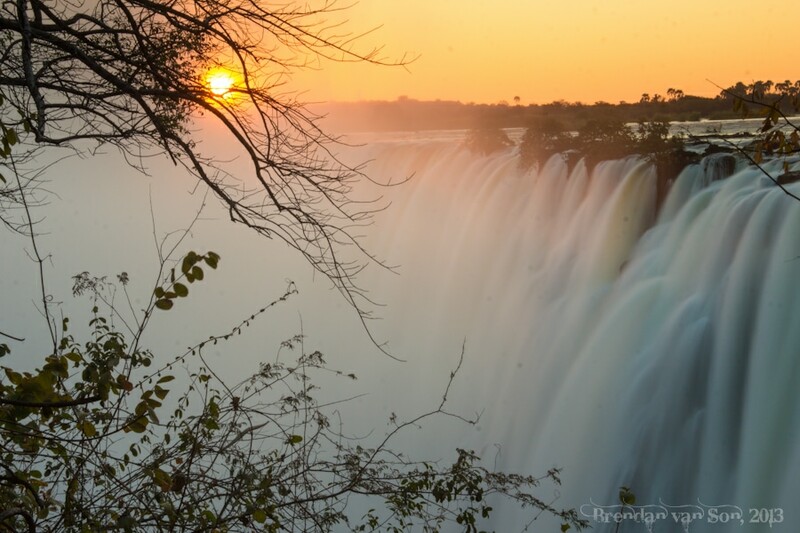 I wander into the falls just before the sun disappear behind the horizon of Zimbabwe to get some shots of sunset before the lunar rainbow begins to show. The falls display a light show as the sun sets. The usually bright blue skies are painted in orange and rays of light dance through the falling water. The best part is that I have it to myself. Aside from a few other photographers, the park is empty at sunset. 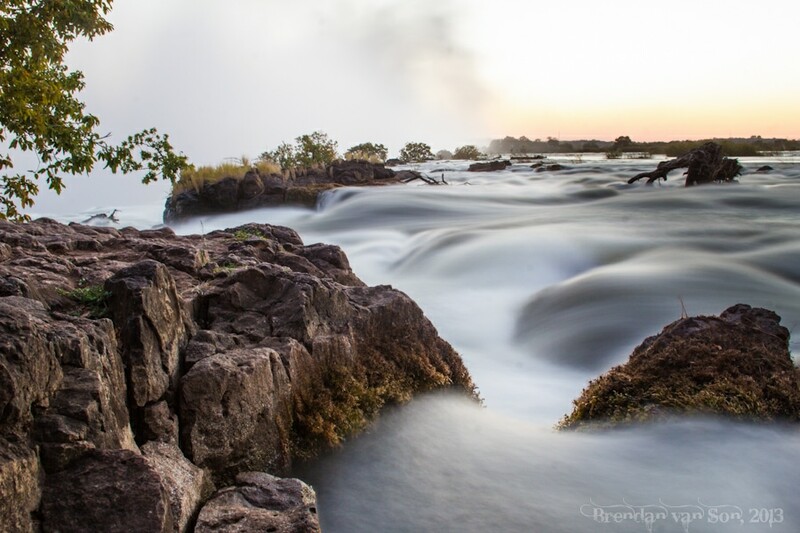 Once the sun sets, I hike upstream from Victoria Falls and settle down in a place I imagine the lunar rainbows will form. The sky turns a dull greyish blue at dusk and I open my iPhone to play a game as I wait for the right light. After a half-hour, I peek up to see a trail of light streaming from the falls. I drop my game, and start firing shots. 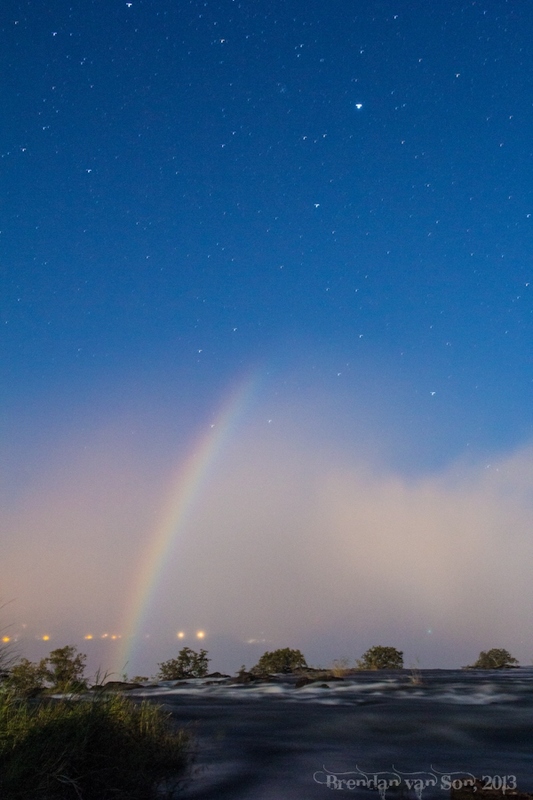 The lunar rainbow starts pointing nearly straight up and then begins to lean as the moon climbs in the sky behind me. Though the sun has been down for over an hour, the light in the sky is turning from dark to light. The moon is full behind my back and the result of my photos appears like a combination of daylight and night. Blue skies speckled with stars. The lunar rainbow only grows in power as the night is meant to grow darker. There really is nothing like it in the world. 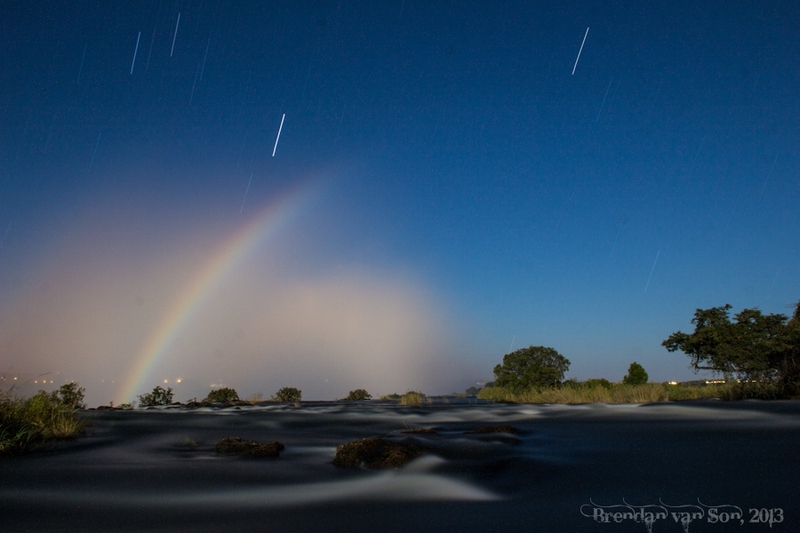 If you’re interested in shooting events like the lunar rainbow at Victoria Falls, check out my article on how to take star photos. I hope you enjoyed the photos! Thanks Julia… the lunar rainbow is a must see for sure! Simply Stunning! Each and every shot. Thanks Maria! 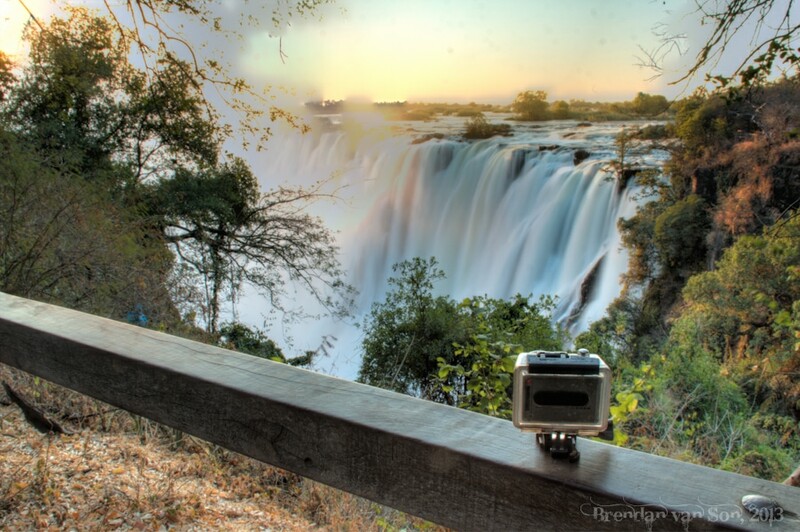 Takes a beautiful place like Victoria Falls to get great photos… I’m lucky to have seen it! THE ABOVE PHOTOS ARE REALLY UNIQUE!!! I AM LOOKING FORWARD FOR MORE SIMILAR IMAGES, SINCE THIS TIME IN GREECE WE ALL NEED SOME BEAUTIES TO PASS THROUGH THE DIFFICULTIES. Breathtaking photos…..don’t have sufficient words! What a marvelous experience. You are going to have to come up with something really good when this trip is over, or you will be having withdrawal symptoms! Haha, you’re probably right Jenna. But I probably will just take some R&R for a bit! Amazing photos. 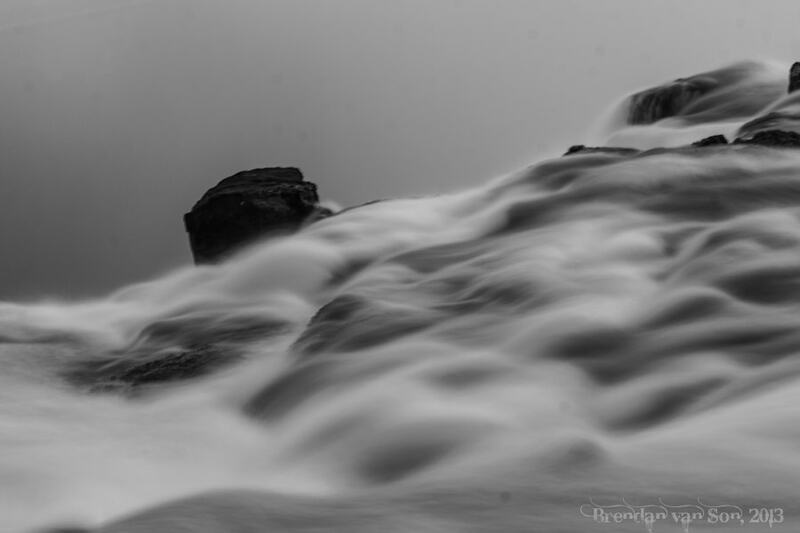 I always struggle to get a great looking waterfall photograph. Thanks Nicole. It’s all about 2 things with rainbows: light and tripod. 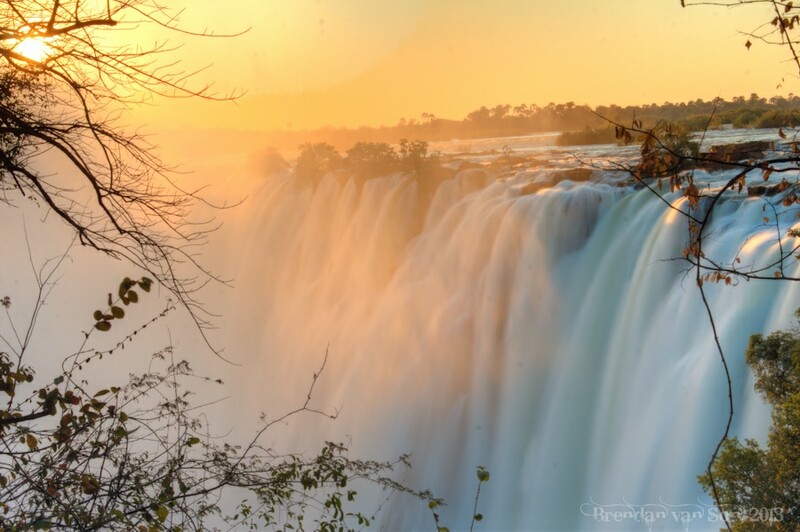 Shoot at low light on a tripod and you could make your kitchen faucet look like Victoria Falls.